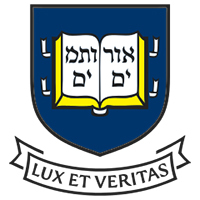 The Physics Department at Yale University began in the early 1800s as part of the Department of Philosophy and the Arts. Today the department offers studies in a wide range of fields including astrophysics, atomic physics, biophysics, condensed matter physics, nuclear physics, cosmology, quantum optics and gravitational physics. 1861First Doctorate degree is awarded, New Haven (Conn.). 1894 – 1897Arthur Day was on faculty. 1904 – 1908Max Mason was on faculty. 1915 – 1951John Zeleny was on faculty. 1917 – 1948Alan Waterman was on faculty. 1924 – 1927William Swann was on faculty. 1925 – 1928Ernest Lawrence was on faculty. 1926 – 1928Jesse Beams was on faculty. 1939 – 1942Lyman Spitzer was on faculty. 1940 – 1941Elliott Montroll was on faculty. 1943 – 1944Arthur Wightman was on faculty. 1946 – 1947Lyman Spitzer was on faculty. 1947 – 1968Gregory Breit was on faculty. 1954 – 2003Vernon Hughes was on faculty. 1956 – 1957Joel Lebowitz was on faculty. 1957 – presentJack Sandweiss has been on faculty. 1958 – 1959Frank Stillinger was on faculty. 1959 – presentRobert Adair has been on faculty. 1960 – 2005D. Allan Bromley was on faculty. 1962 – 1966John Reppy was on faculty. 1962 – 1974Willis Lamb was on faculty. 1967 – 2009Martin Klein was on faculty. 1970 – 1972Patrick Lee was on faculty. 1972 – 1974Roy Holt was on faculty. 1972 – 1976James Bardeen was on faculty. 1978 – presentFrancesco Iachello has been on faculty. 1985 – 1989Jainendra Jain was on faculty. 1988 – presentNicholas Read has been on faculty. 1995 – presentRichard Casten has been on faculty. Associate Professor to Professor of Physics; Eugene Higgins Professor of Physics; Sterling Professor of Physics; Emeritus Sterling Professor of Physics; Chair, Department of Physics; and Director, Division of Physical Sciences. National Research Center (NRC) Fellow in Physics and Instructor in Physics. Professor of Physics and Donner Professor of Physics. Associate Professor of Physics; Professor of Physics; Chair, Department of Physics; Director, A. W. Wright Nuclear Structure Laboratory; Associate Director, Heavy Ion Accelerator Laboratory; Henry Ford II Professor of Physics; and Sterling Professor of the Sciences. Received MS (1964) and PhD (1967). Professor of Physics; D. Allan Bromley Professor of Physics; and Director, A. W. Wright Nuclear Structure Laboratory. Obtained BA and PhD (1894). Instructor in Physics. Professor of Physics and Eugene Higgins Professor of Physics. Eugene Higgins Adjunct Professor of Physics and Applied Physics. Received MPhil (1971) and PhD (Physics) in 1972. Research Staff Physicist. Assistant Professor to Professor of Physics; Chair, Department of Physics; Donner Professor; Sterling Professor of Physics; and Sterling Professor of Physics Emeritus. Professor of Physics and Josiah Willard Gibbs Professor of Physics. Professor of Physics; Eugene Higgins Professor of Physics and History of Science; and Eugene Higgins Professor Emeritus of Physics and History of Science. Henry Ford II Professor of Physics and Josiah Willard Gibbs Professor of Physics. Received PhD in Physics (1925). National Research Fellow and Assistant Professor of Physics. J. W. Gibbs Instructor of Physics. Assistant Professor, Sheffield Scientific School. Assistant Professor to Associate Professor and Professor of Physics. Received PhD (1961). Assistant Professor of Physics. Instructor to Professor of Physics; Department Chair; Donner Professor of Physics; and Consultant, Laboratory for Marine Physics. Received BA (1935). Instructor in Physics and Associate Professor of Astrophysics. Instructor; Assistant Professor of Physics; and Associate Professor of Physics. Received BA (1942). Instructor in Physics. Professor of Physics; Emeritus Professor of Physics; and Lecturer in Physics. Received MS (1950) and PhD (1953) in Physics. Received MS (1948) and PhD (1950). Obtained PhD in Physics (1948). Received PhD in Physics (1971). Received PhD in Physics (1926). Received AB and PhD in Physics (1909). Received PhD in Physics (1959). Received MS (1952) and PhD (1954). National Science Foundation (NSF) Research Fellow. Pages from catalogs listing faculty and courses at Yale University, 1900-1940. Yale University Department of Physics records, circa 1910-1975. Alois Francis Kovarik papers, 1902-1951. Alvin M. Saperstein student notes of lectures given by Gregory Breit, 1952-1954. Alvin M. Saperstein student notes on lectures by Lars Onsager and Cecil T. Lane, 1952-1953. Arthur E. Ruark biographical material, 1963. Arthur Williams Wright papers, 1755-1876. Bertram B. Boltwood autobiography, circa 1923. Bertram Borden Boltwood papers, 1890-1932. C. T. Lane and low temperature physics at Yale, 1973. Charles Sheldon Hastings papers, 1869-1930. Extracts from de Forest autobiographical notes: Books I and II, 1944. George Andrew Kolstad response to 1981 History of Nuclear Physics Survey, 1982. Gregory Breit papers, 1929-1980 (bulk 1960-1970). Horace Dwight Taft papers, 1888-1983. Joseph H. Howey papers, 1927. Leigh Page papers, 1884-1962 (bulk 1884-1953). Louis McKeehan autobiography, circa 1970. My Life in Physics: John Schiffer's autobiography. Natural Science manuscripts collection, 1817-1918 (bulk). Oral history interview with Marlan O. Scully, 2004 July 15 and 16. Oral history interview with Adriaan J. Wesselink, 1977 September 23 and 1978 June 21. Oral history interview with D. Allan Bromley, 1986 October 29 and 30. Oral history interview with E. W. Montroll, 1983 September 26. Oral history interview with Frank J. Low, 2000 January 25 and May 4. Oral history interview with Gordon Gould, 1983 April 8 and October 23. Oral History interview with Harold J. Morowitz, 2005 March 16. Oral history interview with Haroutune Mugurditch Dadourian, 1964 April 4. Oral history interview with Henry Margenau, 1964 May 6. Oral History interview with James Broxon, 1974 September 21. Oral history interview with Joel Bengston, 1986 July 1. Oral history interview with John S. Hall, 1979 February 21. Oral history interview with Joseph A. Burton, 1974 July 22. Oral history interview with Larry S. Cardman and J. Dirk Walecka, 2013 August 8. Oral History interview with Lyman Spitzer, 1991 November 27. Oral history interview with Lyman Spitzer, Jr., 1977 April 8 and 1978 May 10. Oral history interview with Mildred Allen, 1979 June 18. Oral History interview with Richard Setlow, 2005 April 21. Oral history interview with Robert Bruce Lindsay, 1964 May 6 and July 9. Oral history interview with Willard Frank Libby, 1979 April 12 and 16. Oral history interview with William R. Bennett, 1987 October 26. Oral history interviews. High-Energy Physics. Selected Experiments: FNAL-E-715: Precision Measure of the Decay Sigma- -- N E- NU, 1990-1991. Oral history interviews. High-Energy Physics. Selected Experiments: SLAC-E-122, 1989. Robert Bruce Lindsay collection of annotated drafts of 6 articles written while at Yale University and Brown University, 1930-1961. Robert Bruce Lindsay intellectual autobiography, 1962-1983, 1985. Ross Gunn autobiographical notes, circa 1962. Walter Benenson response to 1988 History of Nuclear Physics Survey, 1988. William Lee Williams papers, 1962-1986 (bulk 1967-1986). William P. Jesse scientific autobiography, 1968. William Weldon Watson papers, 1924-1983. Yardley Beers autobiography, circa 1965. Historical register of Yale university, 1701-1937. Historical register of Yale University, 1937-1951. Physics doctorates of Yale / Nancy N. Soper, C. Marvin Curtis, D. Allan Bromley. Yale College : an educational history, 1871-1921. Yale science : the first hundred years, 1701-1801. Yale: the University College, 1921-1937.